1. 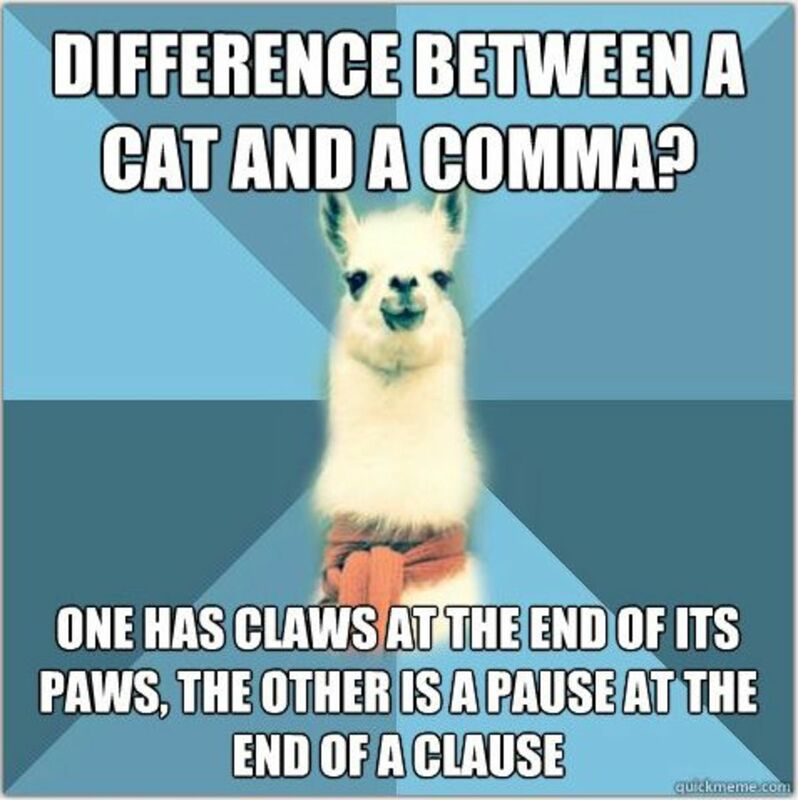 A comma comes before a coordinating conjunction (FANBOYS) when both are independent clauses. CORRECT: I would love to go hiking, but I have to study organizational communication. INCORRECT: I would love to, but I have to study. EXPLANATION: In the correct sentence, both sentences in bold are independent clauses. An independent clause has both a noun and a verb and can stand on its own. A dependent clause cannot stand on its own, it does not express a full thought, it is also known as a fragment. The FANBOY (for, and, nor, but, or, yet) which in this case is but and separates two independent clauses. In the second sentence labeled incorrect only has ONE independent clause and not two. The first half of the sentence is a fragment. This person would love to do what? It doesn’t express a full thought. USES: FANBOYS are important when you want to connect two sentences together with a comma instead of separating them with a period. 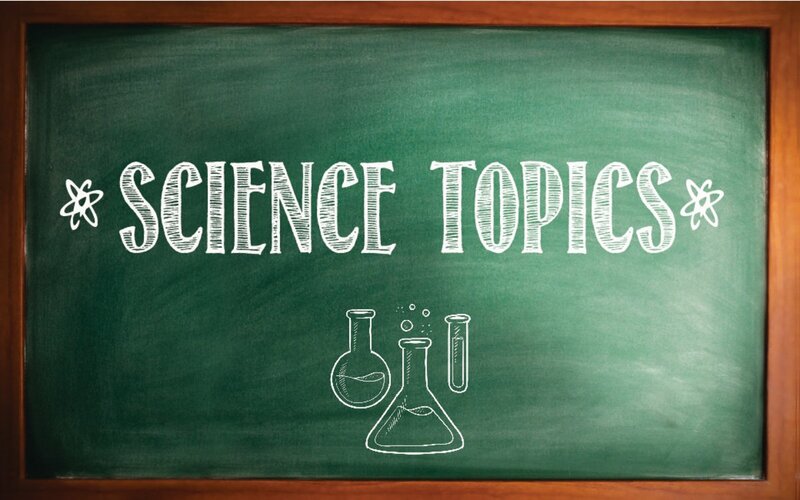 It is a way to connect ideas, and common sentences together. When you do not use FANBOYS are when the ideas do not connect unless you have a point you are trying to achieve within the sentence, but the diction and word choice should support this point. Think of sentences as a formula you have to put together and punctuation can help you achieve that. CORRECT: Although I would like to go hiking, I must study organizational communication. CORRECT: I must study organizational communication after we go for a hike. INCORRECT: I would like to go hiking, because I don’t want to study communication. INCORRECT: I will study communication, until we go hiking. EXPLANATION: An adverb clause is a clause that starts with an adverb which will start the sentence or ends the sentence. The first correct example, there are two independent clauses separated by a comma. The second example is flipped so there is no comma. The first incorrect example shows a comma before because it creates extra wordiness. Everything after the “because and comma” is just extra information that is usually not needed. The only time you break this rule is when the writer is trying to eliminate confusion for the reader. Eliminate the comma or if you want to eliminate because, don’t insert a comma either between two clauses creating a comma splice. The second incorrect example has an adverb in front of the comma. Adverbs coming at the end or middle of the sentence don’t need commas to introduce the next clause in the sentence, the adverb already does that. USES: When you typically use an adverb clause is during an introduction or the start of a sentence. These clauses prepare the reader in a sense of that is about to come in the rest of the text or paragraph. 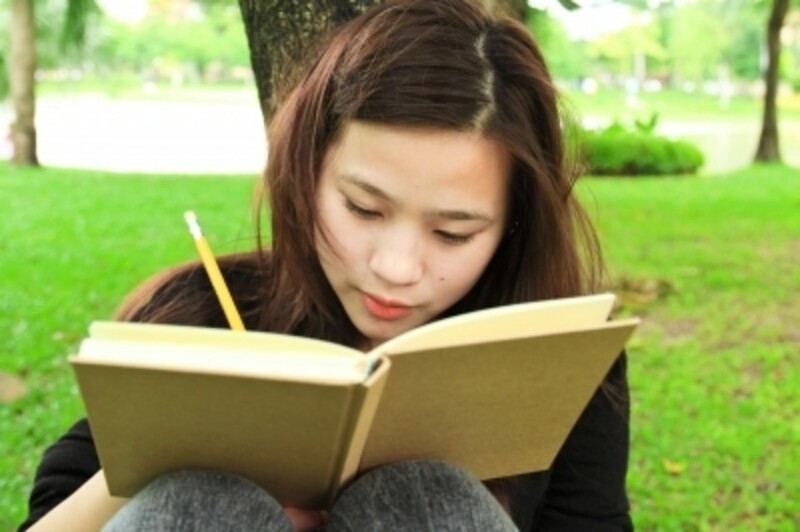 It marks a beginning for a lot of readers, and a writer should follow that beginning if the writer wants to begin a paragraph with an adverb clause. 3. 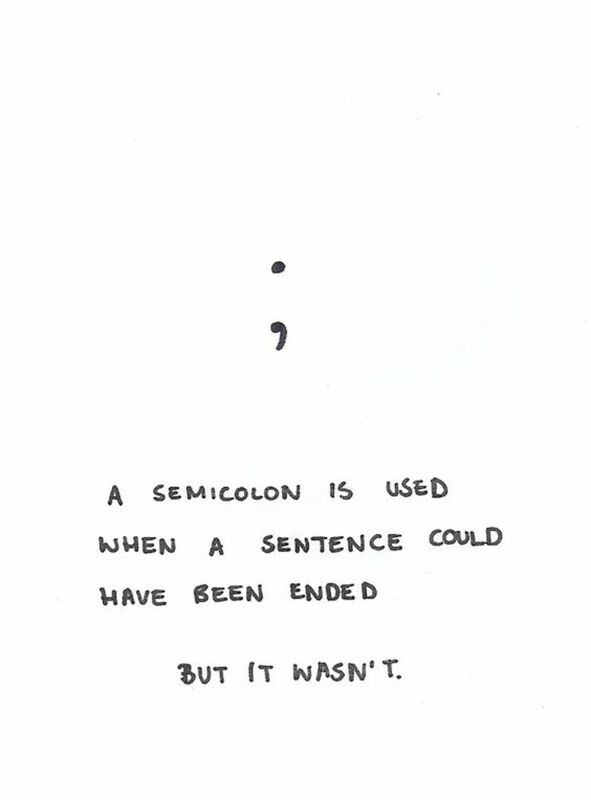 A comma comes after a conjunctive adverb that follows a semicolon. CORRECT: I must study organizational communication; therefore, I can’t go hiking with you. OR: I will study organizational communication; and then I will go hiking. INCORRECT: I must study organizational communication; therefore I can’t go hiking with you. OR: I will study organizational communication and then I will go hiking. EXPLANATION: A list of conjunctive adverbs are: finally, furthermore, therefore, moreover, next, however, likewise, thus, then, otherwise, etc. 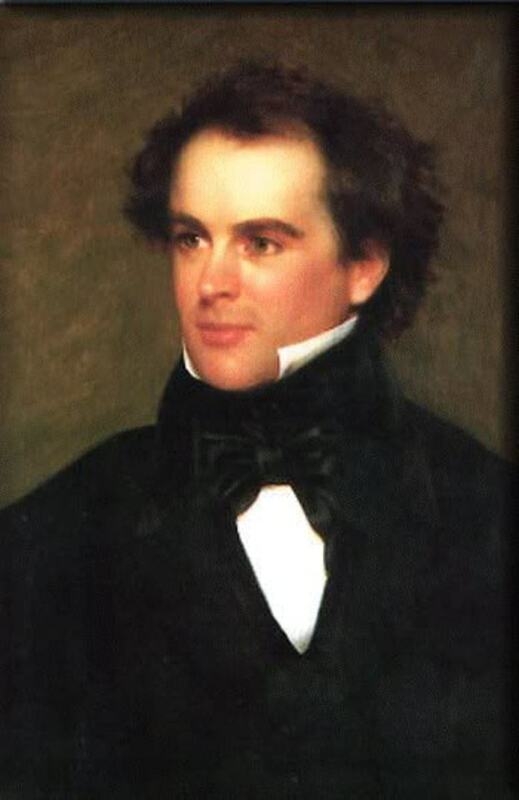 For the first correct example, therefore is used, a semicolon, and a comma. Whenever a conjunctive adverb follows a semicolon, it must be followed by a comma. With the second example, whenever a “then” is after a comma, a “and” must go in front of the “then” or else it makes the clause a fragment. The incorrect sentences are missing commas or semicolons. Try reading the correct and incorrect sentences with the appropriate pauses and see what sentences sound better when spoken and written. USES: Writer's can use language to be an expression of their feelings, thoughts, experiences, and so much more. Pauses in a sentence can be significant and no pauses in a sentence can also be moving. Think about where you want the reader to pause and ponder, and where you want the reader to read and go fast through the words, to flow or ride with the story. 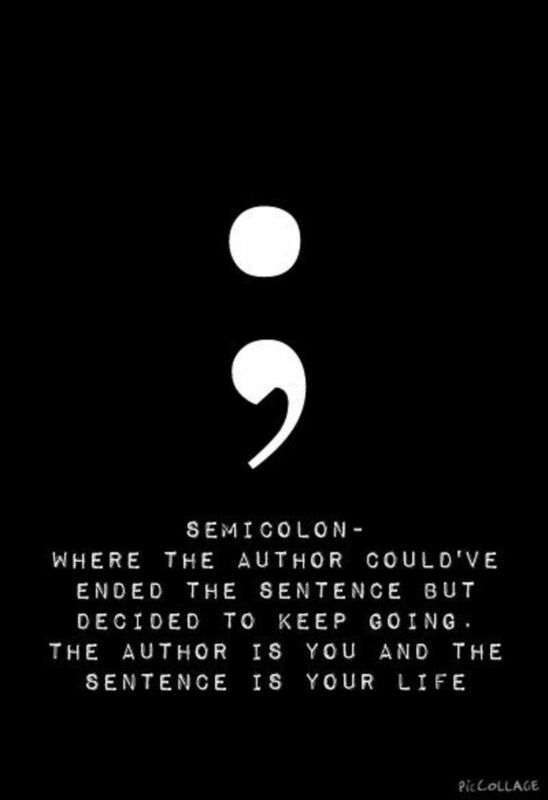 The semicolon is a stopping, and a starting point, the adverb goes onto connect the sentences and ideas together even further. 4. A comma coming after an introductory element. CORRECT: After my online test, I can go hiking. INCORRECT: After my online test I can go hiking. 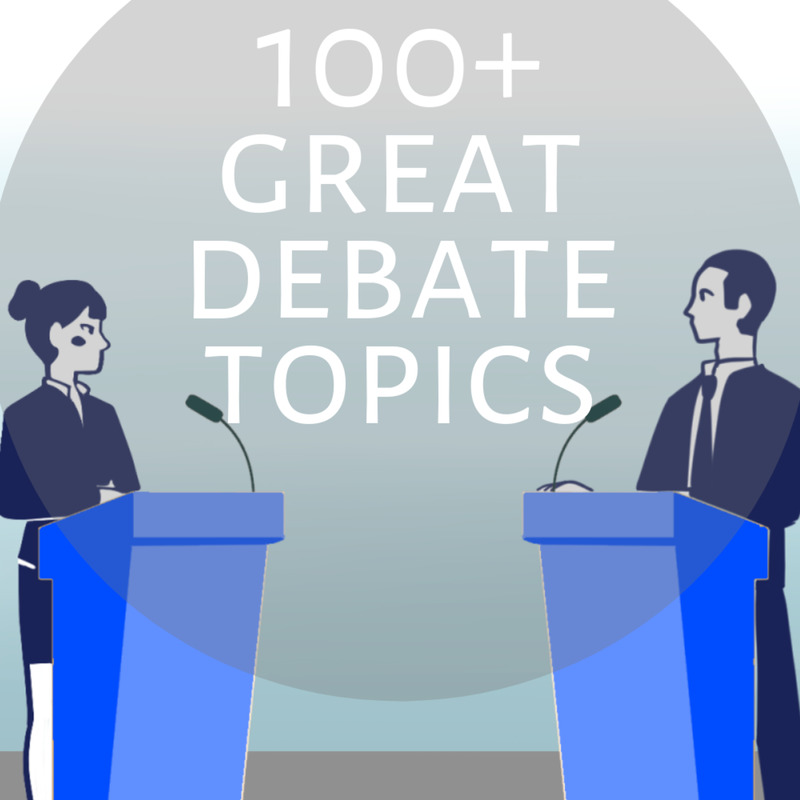 EXPLANATION: An introductory dependent clause used in the correct example begins or “sets the stage” for the independent clause. Without a comma it turns into a fragment and the emphasis the writer put on “After my online test” is lost. The natural pause and effect is also lost. USES: Much like the adverb clause from above, every story, article, prose, blog, journal, etc need an introduction. An introduction is important because it helps the reader understand what is about to come, if they want to continue reading and finish the story, or if the story is uninteresting. A comma helps in this instance because we can see in a single sentence where the writer is or from and where the writer is going or doing. 5. Comma can be used to separate items contained in a series. The series needs to be three or more. CORRECT: I study Lincoln, Kennedy, and Garfield. INCORRECT: I study Jupiter, Saturn. EXPLANATION: The three or more list allows the reader to understand if list keeps going, or the writer has ended the list. The incorrect example shows a fragment with Saturn, it’s only one word and not a complete thought. To fix it would be drop the comma and add “and” to finish the list. 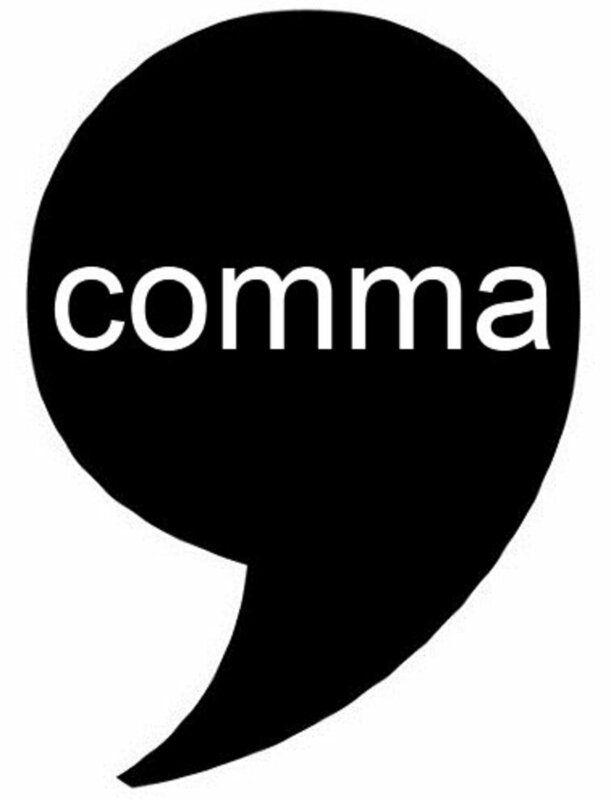 It is all about starting, continuing, and ending lists with this comma rule. 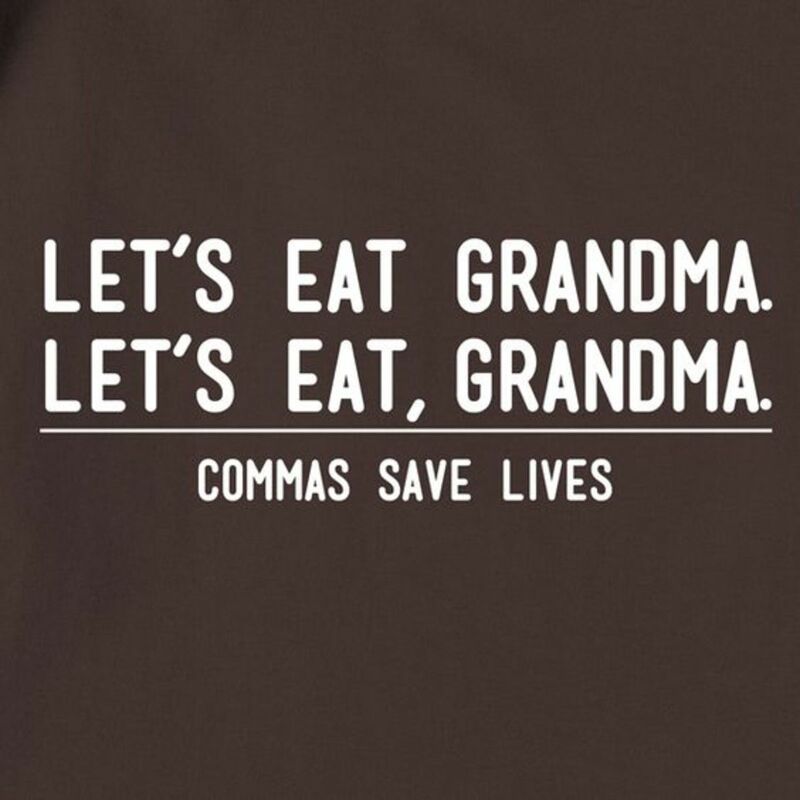 USES: Commas are important in lists, and a series because it "save's lives." A list needs to be separated, if it is not separated, it could cause confusion from the reader. I don't think enough writer's use commas, and these in stories and articles are in my eyes the easiest to notice. When you look at an ad campaign or magazine or newspaper again, look for the unnoticed commas. Do you think it works without the commas of doesn't it need commas like the previous sentence. Placing and deleting commas should be fun because it changes the meaning of the language and how a sentence should be read. 6. Two adjectives are separated where an “and” or a “dash” can go. USES: Some adjectives should be separated in order to lessen the confusion for the reader. Words are hard to put down, put showing more than telling the reader involves more description that can be muddied down by the lack of grammar. Notice how many adjectives in your writing that you are using and if you are using them correctly with the right punctuation. 7. Using commas in dates and addresses. EXPLANATION: When using either Style, which is the first and third example on the left, either commas or no commas. All of these examples are correct, but in many different forms. These forms are standard all over the world. American are the first two, the last is modern American and European. USES: The uses for these commas are more technical than anything else. There is a standard format around the world, where the days and months are interchangeable, but it is a formula everyone learns to follow, can easily look at and understand it is a date no matter the language barrier. Some commas are universal! 8. Commas are used to set off information that is extra in a sentence. SEVERAL: My friend, Nate, graduated from college. ONE: My brother Matt loves motorcycles. EXPLANATION: The first example implies the writer has many friends, specified by the comma “My friend, Nate” referring to which friend. The second example signifies only one person with no comma, if there was a comma between “brother” and “Matt” then it would mean this person has more than one brother. USES: Commas used here is all about meaning, and what the reader will take away from the sentence. The difference in the example can be huge when it means something to the writer and wants to convey it to the reader. I only have one brother, and I don't want the audience misunderstanding the information I am trying to provide them with. “Don’t interrupt me! I’m cleaning!” the kid shouted. EXPLANATION: All of these forms are correct. To keep in mind is the comma. The comma must have an independent clause before or after. The third example for capitalizing the “the” is up to the writer. It does not have to be capitalized. It can be a purely stylistic choice. USES: This comma is also a standard, and can be said is a format to introducing a quote of a character speaking. 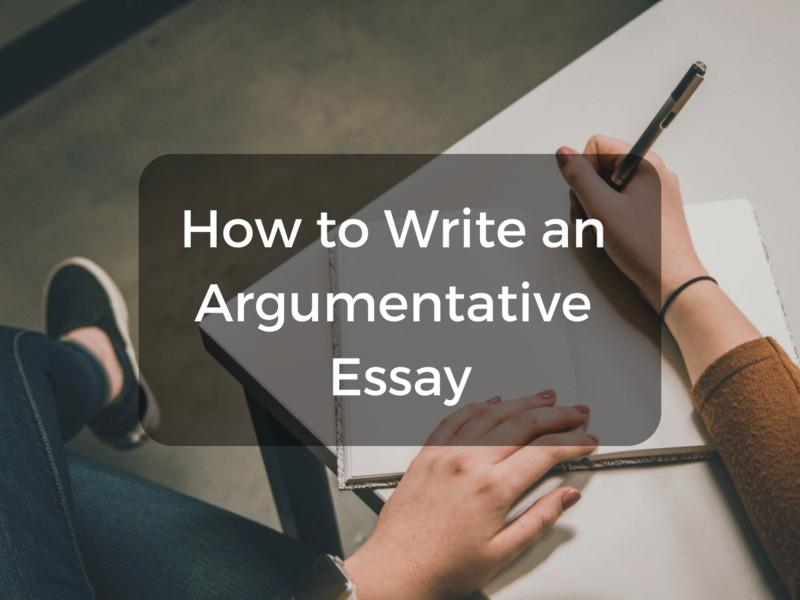 Dialogue is hard to write, and even writing a formal paper using quotes to explain what others have said or written gives more fact and proof of the world in the prose. 10. Avoid comma splices, which a comma to separate essential elements of a sentence. CORRECT: My friend and I hiked for three days. We were very tired. OR: My friend and I hiked for three days; we were very tired. OR: My friend and I hiked for three days, so we were very tired. INCORRECT: My friend and I hiked for three days, we were very tired. EXPLANATION: A comma splice is created when a comma goes in between two independent clauses or otherwise known as essential elements. There are five ways to fix this: (One), put a period where the comma is, (Two), use a semicolon instead, (Three), use a semicolon, coordinating conjunction, (fourth), semicolon, conjunctive adverb, comma, (fifth), change one of the independent clauses to a dependent or fragment. 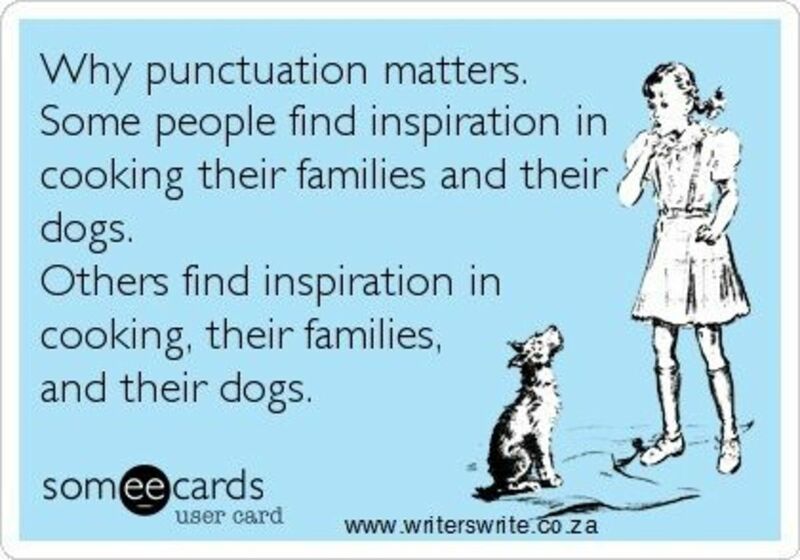 USES: Comma splices are what all want to avoid, it makes the "grammar lovers cringe in a heartbeat." These are instances when periods should be used over a comma. A thought has been completed, a comma is put in a place where it should not be put and creates a splice. Move the grammar where it should be placed according to the nine rules above, and you will avoid the comma splice.